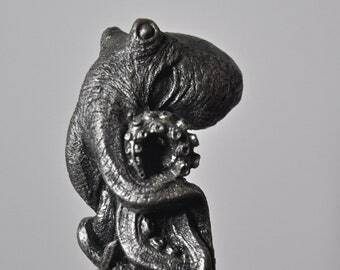 An octopus headed cane, measures 38 1/4" tall. 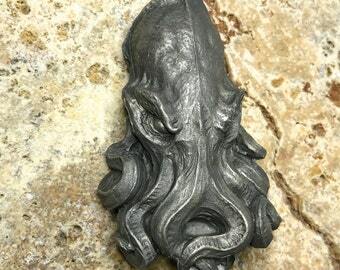 The head is 4 1/2" x 2 1/4", cast in a durable resin infused with iron powder. The stick is black varnished oak, 3/4" thick, with a standard rubber cane tip. 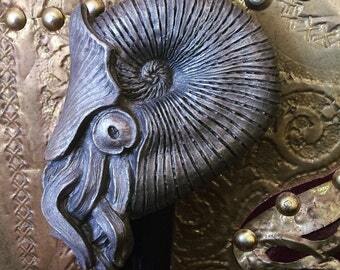 The Kraken cane I purchased is handsomely crafted, and a welcomed addition to my Victorian wardrobe. 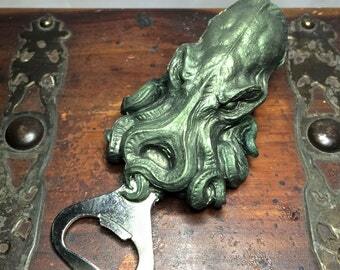 I love this cane and wanted one ever since Adam Savage showcased it on Tested. 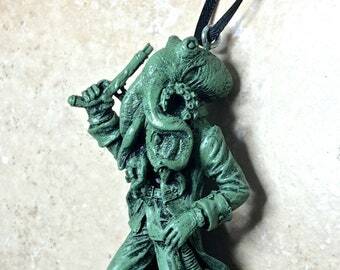 Release the Kraken! Solid form. 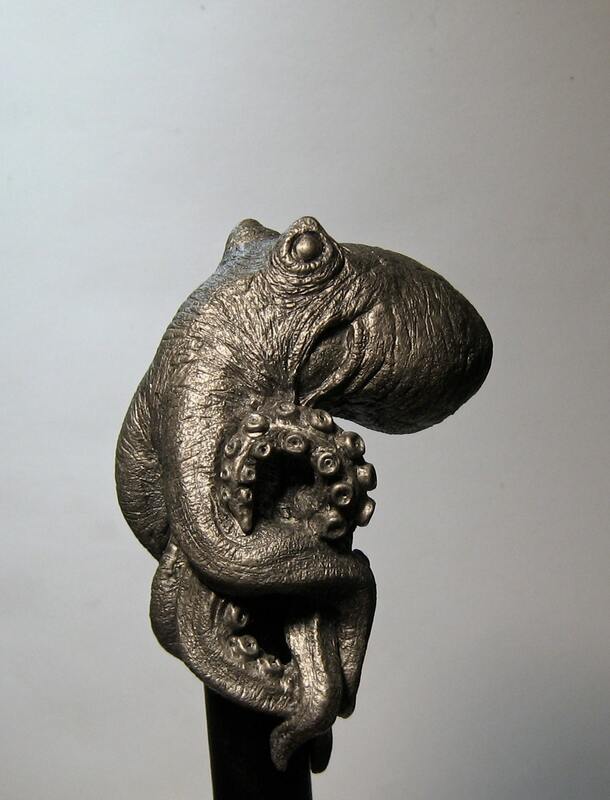 No complaints with the function of the item I purchased, which was the lovely cane with the octopi resting on top. An interesting work of art I'll be proud to pass down.